The head of the Treasury Select Committee has called for a big shake up to the way in which the United Kingdom produces its official statistics in order to improve the quality of economic data. The conservative MP for Chichester believes that the Chancellor of the Exchequer, George Osborne, should use the upcoming budget as an opportunity to make sweeping changes to the Office for National Statistics. The MP recently criticised the ONS for falling behind its international equivalents. This criticism came after the MP heard evidence from Sir Charlie Bean, who is the former Bank of England deputy governor, as he was preparing to report back to the government on the quality of the economical statistics used by the UK. “It’s clear from Sir Charles’s interim report that the UK has fallen behind other countries, and that some of our statistics are scarcely fit for purpose. He also criticised the work being done by the UKSA (UK Statistics Authority) in the double-checking of the statistics being released by the ONS. Bean’s report is due to be completed around the time of Mr Osborne’s budget next year. He did not go quite so far as Mr Tyrie in his criticism of the UKSA but was also hard on the ONS. Bean also commented on the impact that was felt when the ONS moved from Wales to London and it lost many experienced staff members. “National income accounting is something you learn on the job ... so you are talking about 10 years before you’ve really adjusted to it. So we are getting to the point now where those transitional costs should be starting to disappear,” he said. Mark Carney has also hinted at a substandard quality of statistics; when he arrived at the Bank of England from Canada he told the committee: “I was much more comfortable with the data in Canada. Tyrie then asked Bean not to hold back in his final report. This took place at the beginning of the month and now, with the Budget moving closer, My Tyrie has reiterated his stance. He has called on Sir Charlie Bean to ensure that the report is completed in time for 16 March. Bean recently asked the Treasury Select Committee for ways in which public scrutiny and oversight of data collection can be improved. In in open letter response Tyrie wrote back his three suggestions. The first suggestion that Tyrie called for was a new statistics watchdog that could better handle the quality control of the statistics that the government and policy-makers were being forced to work with. This suggestion carries a lot of parallels with the creation of the Office for Budget Responsibility. Tyrie also went on to recommend that the national statistician and the chairman of the UK Statistics Authority should be subject to vetting by the Treasury committee before being appointed. The second suggestion that was made by Mr Tyrie was that Treasury should take back the responsibility of national statistics from the Cabinet Office. This suggestion has been criticised by some who feel that allowing the Treasury to be responsible for the production of national statistics would be a mistake. The Royal Statistical Society have said that this would potentially damage the independence of the statistics and that they would always be questioned as possibly being influenced by the Treasury. This possibility appears to be more plausible in recent times after it emerged that the Treasury had been responsible for pressurising the Office for Budget Responsibility into changing language in its economic forecast. The Treasury Select Committee has said that the economic outlook released by the OBR (Office for Budget Responsibility) was changed after the Treasury pressurised the independent body into doing so. The MPs on the committee, including its chair- Tyrie, also said that this breached the rules of independence that were set up to prevent the government from interfering with the body’s internal operations. After these demands were made by the Treasury, it is believed that the Office for Budget Responsibility removed the word “complicated” from a passage that was describing a section of the government’s policy. It also removed references to the government’s practice of “budget top-slicing”. 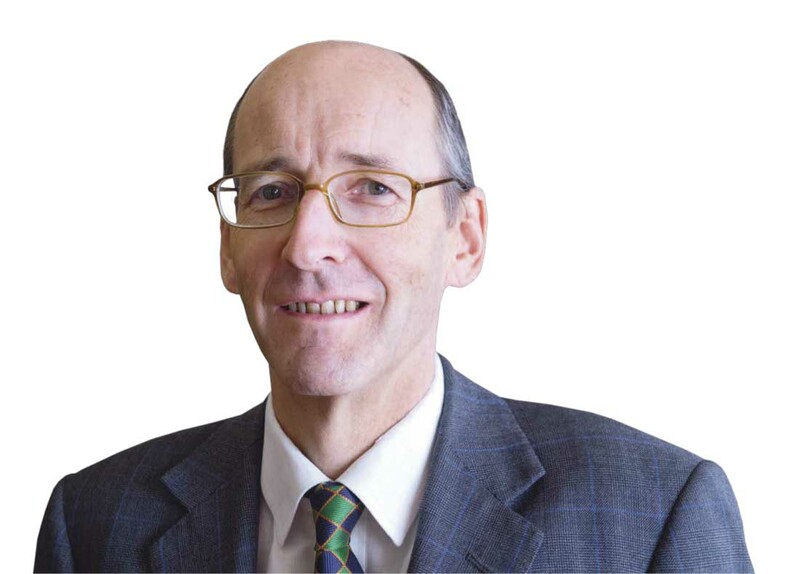 Andrew Tyrie, said that this entire situation “gives the appearance of a minister trying to lean on the OBR”. Tyrie continued: “The OBR’s independence is hard-earned and easily squandered. Little or no damage appears to have been done in this case, but this shouldn’t be repeated.” MPs went on to say that while the rules of independence had clearly been broken, there had been no serious harm done to the overall process. Tyrie’s third suggestion to Bean about changes that could be made to improve statistical scrutiny was also based upon increased independence. Speaking on who these changes could be achieved Tyrie said that he did not think that the law would need to be changed in order to get most of the reforms done. Although he did say that if that was indeed necessary, then it should be addressed in government. “Most of what is required may be achievable within existing statute. But if primary legislation can offer the prospect of better statistics, not least by entrenching in statute the independence of the National Statistician and the Chairman of the UK Statistics Authority, the government should provide the necessary parliamentary time for it. Numbers matter – no doubt the forthcoming EU referendum will illustrate the point."